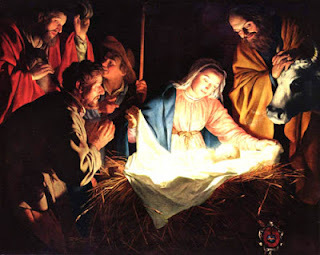 Christmas 2012 is already more than month behind us, but that does not mean that we should not speak or write about the miraculous events that took place in Bethlehem more than two thousand years ago. So when my dear friend, José Luis Castejon, musician and guitarist, gave me the manuscripts that he had wrote with Christmas themes, I thought I would translate one for the blogspot; even though we have now reached February. The first part of the 20th century was a difficult and turbulent time in Spain. Nevertheless, in Bartimeo’s home, in spite of the scarcity of material needs, there was no lack of hope and confidence in God. Bartimeos’s parents had inherited an old Bible, whose pages had become yellow with age. It had been purchased by Bartimeo’s grandfather from one of those salesmen called colporteurs, who visited, often on foot, the towns and villages of Spain selling Bibles and Christian literature. The boy was blind from birth, although no-one could explain why? 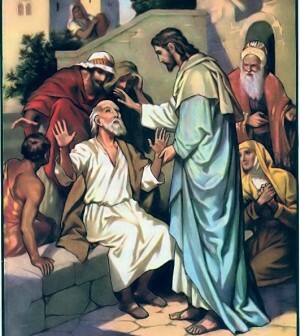 And his parents had given him this name - Bartimeo (in English Bartimaeus) which is not very common in Spain, to remember that blind Bartimaeus who wanted to meet with Jesus of Nazareth when he passed by the place where he was begging; as the evangelist Mark tells us in the 10th Chapter of his gospel. 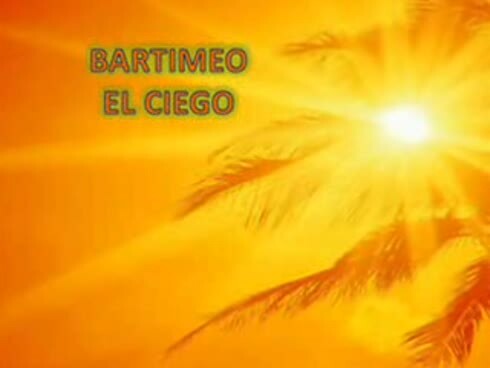 The Spanish National Organisation for the Blind "ONCE" (Organización Nacional de Ciegos) had not yet been set up, so Bartimeo never enjoyed the privilege of learning to read Braille, and drinking by means of his hands from all the rich fountains of culture and knowledge. Even so, while still a child, and later in adolescence, he did not lack instruction, because his mother, during the long autumn and winter nights, seated around the fire, kept him entertained and interested, reading him stories and passages from the Bible in the light of an ancient candle, and in later years by a weak and fluctuating electric light. Sadly the years passed and Bartimeo became a grown man, his parents and all his relatives died, leaving him completely alone in the world. Bartmeo, like many blind folk, felt a great inclination for music, and had followed the wise advise of his aunt Maria who had always told him: "My son learn to play the guitar, and you will find that at ‘la matanza’, the communal killing of a pig in a village, you will be given the choicest piece of pork; and at weddings the best seat". Because of hunger in those times, and the necessity that the blind feel for company, Mateo launched out upon the byways of ‘La Mancha’ playing and singing those romances that became so popular in Spanish towns and villages. His guitar, his cloak and his stick always accompanied him as he walked, helping to relieve the terrible loneliness he often felt until he came a town or village. But one Christmas Eve it was an especially sad for him. He had not sold any romances, and the town that he had visited seemed empty and abandoned of human presence, so with his stomach empty he remembered, sadly and nostalgically, the delicious ‘potajes’ (rich stews) that his mother used to prepare at Christmas time. Bartimeo believed in God’s providence, but the cold silence of the countryside gave him the impression that during that Christmas Eve God had more important things to do, or he had gone on holiday to some remote place in the world. As in the case of all imperfect humanity, hunger, cold and tiredness acted negatively on the fine tuned orientation of our blind musician and caused it to fail him when he most needed it. Before he knew it, he found himself alone and lost in the midst of solitary heights, where he could hear nothing, because the night had already wrapped the countryside with a cloak of darkness. Bartimeo seated himself on a flat stone and feeling around him with his stick and began to think how he was going to get himself out of that scary situation. At that moment there came into his mind the discouraging words of Felipe, who had been a friend of his father, "God doesn’t exist and life itself is pointless". Although in his home town he had always heard people saying that men do not cry. Bartimeo felt his face getting colder from the wetness of the tears that welled up from his lightless eyes. Then another cruel thought seemed to come into his heart, "This Christmas Eve is the worst night of your life". Didn’t your mother read to you that Jesus came at Christmas; he came to seek and to save those who were lost? However, it seems that this time he has forgotten you, but suddenly an unexpected ray of light penetrated those dark thoughts, like the sun breaking through the clouds. "Bartimeo! Jesus of Nazareth and your guitar have always helped you and brought joy to your soul, so without another thought, his frozen fingers began to softly caress the cords of his old guitar, and the frozen night was filled with sweet music that seemed to come from heaven itself. The soul of that forgotten blind musician thrilled and responded to the immortal words of the Carpenter of Nazareth: "I am the light of the world, he who follows me, will not walk in darkness". Hunger and cold disappeared, giving way to a warm and sublime happiness, because the mind and the spirit of that forgotten artist became filled with faith, and poetry, and the worship of God. The lucid voice of that blind minstrel created such an indescribable atmosphere, that Bartimeo had a strange sensation that a choir of angels had united with him in praise. Then his acute hearing detected something moving near to him. Startled he leaped to his feet dropping his guitar and grasped his heavy stick. The blood froze in his veins, could it be a thief or an animal that might attack him. He had little that would attract a thief; therefore it was probably an animal. Those moments seemed eternal, but fortunately they were interrupted by a kind voice saying, "Good evening, don’t be frightened, I am Felipiano, I live in a hut close to here with my family, because I am making charcoal. And this is the reason that we are living in a hut. We heard the notes of a guitar; and I have come see who the musician might be who would venture out on such a cold night just to serenade us. Bartimeo briefly told his unexpected visitor what had happened to him. At that moment some frozen drops of rain began to fall on them, and Felipiano said kindly, "Come to us, have supper and stay the night, before you die of cold". Years ago the Manchego woodcutter’s huts were constructed with tree trunks. They very efficiently kept out the cold, and made the place comfortable, during the very cold and stormy winters of the high central plateau called ‘La Mancha’. Bartimeo enjoyed the excellent gazpacho manchego, made with fine biscuit and rabbit, and prepared by the expert hands of Josefa, Felipiano’s wife. What a comfort to Bartimeo’s empty stomach, and afterwards an improvised, but warm and cosy bed, made a mockery of the pessimistic words of Felipe his father’s friend. Jesus Christ is the great specialist, who resolves difficult situations, and he has always helped the blind through music, and, although when he came into the world, there was no room for him at the inn; on this occasion he used his divine providence, a guitar in the night, to help a second blind Bartimeo (Bartimaeus) to enjoy a warm and happy Christmas Eve. I trust that you will be blessed reading this moving story written by our Brother in Christ "José Luis".